A New Era of Tile. The Lexington Tile is a premium slab with variated colours integrated into the mix. 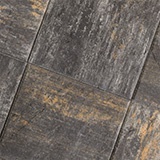 Primarily for patios and walkways, this tile provides a striking aesthetic to any landscape and is available in three dynamic colours that will make a bold impression in any space it’s placed in. 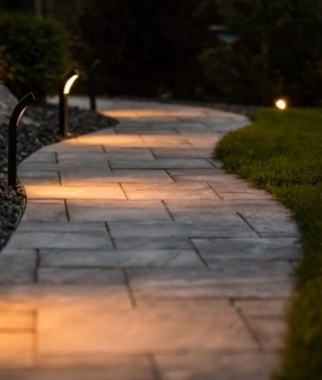 The lexington slab collection feature two sizes, 16x16" and 16x24", that can be used in conjunction to create cut-free staggered walkways. The slab surface is finished with a wavy slate texture for an elegant natural appearance.